April Vacation is here are you looking for activities to keep the little ones engaged or perhaps just looking to get out with the family, your spouse on a date or looking to connect with a group of friends. Here is a list of activies that are fun and sure to get you the melanin lacking from the long winters here in New England. Activies include Picking Tulips at the Wicked Tulip Farm, Cherry Blossoms along the Charles, Boston Common frog pond, and Arnold Aboretum. Fun Mothers Day Activities for all. People often ask me how should we dress for our family pictures. I often suggest coordinating your clothing so its cohesive and well coordinated while still representing your family’s personality and being mindful of your environment. Consider outfits that are classic and timeless and will stand the test of time. Spring is in the air, as you get ready for spring cleaning consider refreshing your home furnishings and decor. Do you often wonder what is the best gift for your loved ones? Well am here to tell you that one way you can present a beautiful, thoughtful and long lasting gift is by getting your family’s art on your wall. This is not only a great gift but its a gift that constantly reminds them of your love for them. If you are Wondering “What exactly is a Fresh 48 Session” and how is It different from a hospital newborn session? It is a documentary style session that is held within the first 48 hours of your new baby’s life. An alternative to birth photography for some, an addition to it for others, it is a way to capture the new and precious moments that we often forget. It will take place at the place of birth whether it be a birth center, hospital, or even home. You should schedule your Fresh 48 session during your pregnancy as they will book in advance and you want to be sure that there will be availability close to your due date. Tea For two In home portrait session is a perfect setting for the little ones especially in the long New England Winters when we spend more time indoors than outdoors. In Home Lifestyle sessions are perfect for families that enjoy spending time at home and especially in the winter when you spend more time at home. Have a different idea such as paint party or cooking party with your loved ones then contact me so we can preserve this special everyday activities that you will enjoy looking back on once your children are all grown up. This Family of Four love going to Castle Island and Fort Independence so it seemed right that This would be the location for their family portrait session. Watching the planes as they get ready to land at Logan Airport and watching the Holland America Cruise line pass by the Boston Harbor were just some of the fun activities we enjoyed during their family session to top it all we ended the session watching the sunset and Boston Skyline from Carson’s Beach followed by icecream from Sullivan’s at Castle Island. Glitter Session for fourth birthday Milestone is a fun idea that your four year old will love and leave feeling like a princess. Later when she receives her wall art she will cherish the fun experience she had and always remember her fourth birthday. Glitter Sessions are also fun for siblings but also as a treat for your princess birthday or not. I love watching families grow. Its amazing how time flies. Photographing families over a period of time is a great reminder of how we freeze moments in time when we get our portraits done. The last family portrait I took for this family the little girl was about 2 years old she had just learned how to walk and the world was an oyster amazing growth happens in 1 year to see more from their last session see below for some portraits from that session. During their family maternity portrait session it was too cold and she just wouldnt have it so she wasn't part of the maternity portraits though nonetheless she braced me with her spunky personality. At just alittle over 3 years she couldn't wait to show off her baby brother who she completely adores and is proud to ensure that he too shall follow in her footsteps. 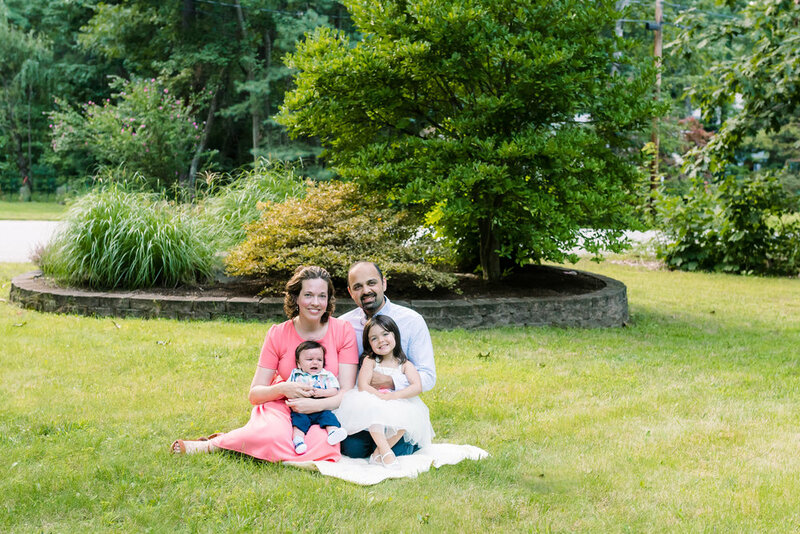 This session took place at their family home and theres no better place than home to capture a family's addition. During their portrait planning session we planned out their outfits and settled on a time and location for the portrait session and while we toyed with the idea of doing the session offsite we decided to have the session at home since it would be easier for mom with an infant. Would you like to know more about family sessions? Contact me here to learn more about a session or start planning your session with me. Stormy Weather, Sharks in the water no problem. we had been looking forward to this Late Summer Beach Session for Months and a lot went into it such as hiring a hair and makeup artist, taking time off work so she can be rested was just a few things She had done in preparation for her session. Rexhame Beach and South River is such a beautiful location that is in the South Shore Its one of a kind and offers clients a good range and backdrop for both individual, Senior and family portraits. Through the Summer and Especially the last couple weeks leading into the session there had been a lot of sighting of Sharks in the water as a result a lot of warnings regarding being mindful when at the beach and especially in the water. Lydia has wanted a beach session for as long as she could remember although the timing had not been perfect. When she made a commitment to love herself more and make time for herself this year, she decided that this was the year that she would see her dream come true. When she contacted me, we went over all the fine details during her consultation session including discussing how she would like to enjoy her portraits. After discussing all the options including Table Top Display and Wall art, she decided she wanted wall art. She also looked at different mediums and while she loves canvas, she fell in love with, Metal Prints So we determined that Metal Prints would go to her living area and a Canvas would go into her bedroom since she already had another piece of Canvas there. Following which the day of session despite all the challenges with the weather we had a beautiful session, the sky had a wide range of colors and it ended in a perfect pink skyline which provided just the perfect backdrop for this beautiful lady from the inside out. I’ll let you be the judge. After the Session we had to determine which cluster would work best based on the images She loved and while we initially loved the idea of a Modern setup it didn’t quite work out perfectly so then we decided that the Timeless Collection would work best. Really looking forward to Lydia’s Wall art Arriving and I can’t wait to share it with you. Stay Tuned to see the final product. Would you like to know more about booking a session or a beach session? Email me to get more information by filling out the contact form here Not sure about what you want but you know you would like to have this phase in your life documented? No worries I will walk you through it all you can rest assured that no details will be missed and hat you will enjoy the experience Contact me today to learn more about what to expect from a session with me. Harvest Hoopla is a Family Fun festival that is sure to quench the thirst of every member of your family. The event will be held at Powers Farm in Randolph MA at 592 Main St Randolph MA from 12pm-4pm. Parking was hard to find last year but you can park further and walk up. Some Fun activities we enjoyed were kayaking, goat yoga, the hayride, pony ride to name a few. Last time I saw this young lady she was 3 months old when I did their Fall Family Portraits. Since then she’s morphed into a robust beautiful toddler. I had a lot of fun documenting her one year milestone. Mom had a watermelon ice-cream cake which was in theme with her first birthday party, and saying this girl loves watermelon is an understatement. She’s absolutely adorable and had fun in the tub filled with fresh watermelon after enjoying the cake. Would you like to know more about documenting your child’s first birthday or other milestones? Contact me for more information. Help me wish this lovely girl a happy birthday!!!! 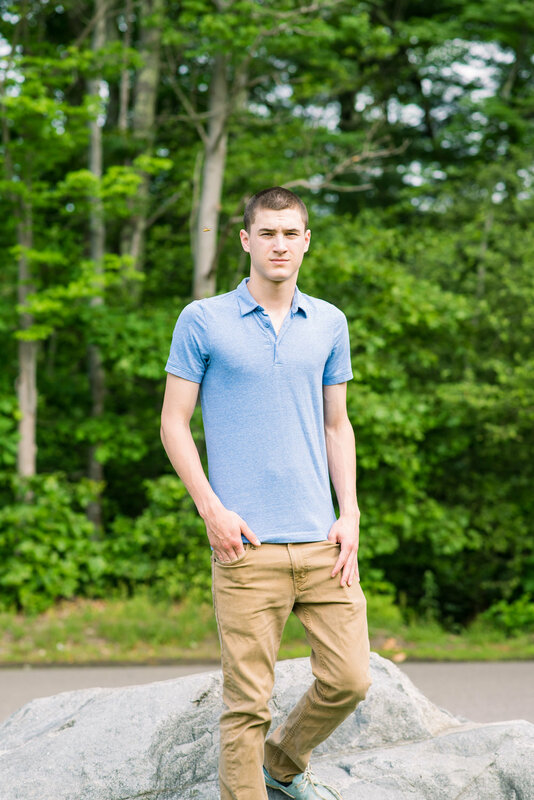 I had the honor and the privilege of photographing Kyle G senior session at Stonehill College Easton MA. Kyle is the Center for the Black Knights football team at his high school Stoughton High School in Stoughton MA. As a Randolph Senior and Family Photographer I encourage you to prepare for your senior portraits by incorporating things that you love into the session. Fall is my favorite time of the year? Apple Cider, Pumpkin Spice, Crisp cool air and Smell of wood smoke in the air are all part of Autumn in New England On top of the beautiful foliage, I love that at this time of the year of the year its a great time to enjoy spending time outdoors, Autumn in the New England Region is absolutely magical. Some of our Fall activities have become family traditions that we do every year. Family photos come in all sorts of iterations, and as a Randolph family photographer, I've seen them all. Parents with children. Just the kids. Older siblings together. A single person or a couple or Even a group of close friends. Family has so many definitions, and so family photos can be so many different things. As a child, and even now, one of my favorite things to do was peruse through my family's photo albums and marvel at old photos of my parents, as well as newer photos of my own immediate family. The Fall is slowly approaching and If you haven't had your family photos or scheduled your family session yet I would highly recommend you do so today dont let this year be another one that goes by chose without documenting your growing family. Whether it be for the first time or the fifth time; whether it's a traditional family or something a little different, family photos are so important. I've got two reasons why now is the time for family photos (and I'd love to be the one to take them). So to find out why you should have your family's photos taken this year, read on. Maybe you're a new family who just had a baby. Maybe you've got a few growing kids, or you have one about to go to college or maybe even an aging parent. The bottom line is you want to remember the now. You want to remember this moment. Time passes fast. They're only this little once. Each moment happens only once. You want to remember this now, this present, and bring it with you to the future. I am very lucky to come from a family where photos are plentiful. In my parents' home, there is a photo of my grandfather this is the only way I remember my grandfather since he passed away when I was about 2 years and I dont have much memories of him other than though the photographs. I spend so much time looking at photos of my parents as children; of my own immediate family through the years. It all gave me a sense of belonging and a connection to my past. There are lots of moms (and dads, too, but honestly, more moms) who say they wish they were in photos with their children, or they wish there were more photos of them, period, so their children would have some to look at now, and in the future. The future is uncertain. I cannot tell you how much those children would appreciate if their moms and dads and aunts and uncles and grandparents got in a photo. The future value of photos like that is immeasurable. Believe me. Your future family will thank you over and over for them. Family Portrait Photography is so important in recording various stages through your families life. In current day While most parents especially mothers tend to be the ones recording the memories for their children its important to make time to be in the frame to make sure you exist in your family memories. 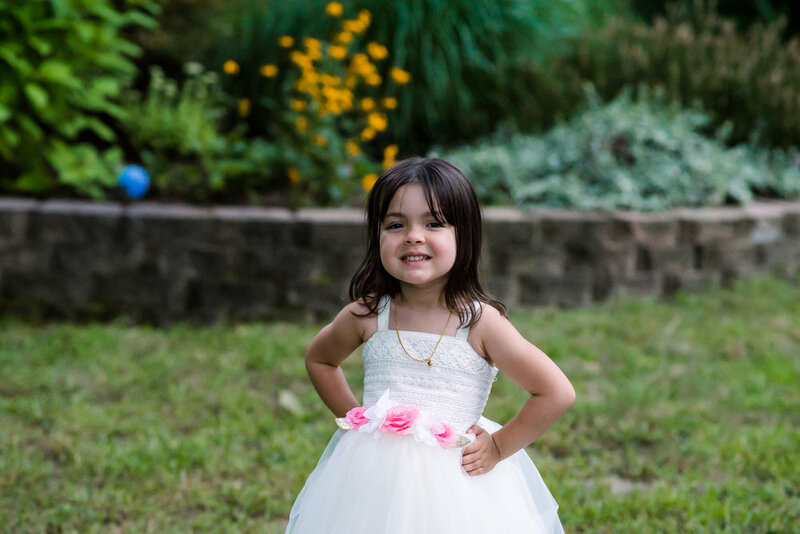 A Portrait Session with Seraphine Photography is an experience your family will remember and treasure for years to come and will be passed down generations you too will be remembered. Call me today make sure you too are in the frame. We will start by talking on the phone then planning to meet so we can design and plan not only your family memories but also discuss how to present and display your experience. Your family is beautiful, a work of art....and that art deserves a prominent place in your home! Wouldn't you rather enjoy your photographs every day on your walls and not have to search for them on your phone or Facebook, or look high and low for that CD or USB? Gallery wrapped canvases, mounted and framed prints, wood and metal prints - there are a variety of options to suit any home décor. As your photographer, let me assist you with decorating your home! Sometimes it's hard to visualize how your photos will look on your walls, and knowing what sizes to order can be even harder. But don’t worry - each time we meet, I bring actual samples with me to showcase the quality so that you can touch them. After the session, you will see the samples again and we will work together to find the right medium for turning your photographs into art. We can even do a digital wall design to show you what the gallery would look like with your family photographs in them. I will walk you through each step of the ordering process. Fear Not - For we offer table top options!!! Flush Mount Albums are a fantastic option for all of those photos that you can't fit on the wall but you still can't live without. With a genuine leather and linen cover and thick pages, these are truly a high-quality item that will last for years and years. And they're not just for wedding photographs anymore - your newborn baby or your graduating high school senior's photographs can be preserved and displayed beautifully. Your annual family photographs are deserving of a gorgeous album that you can pass on to your children and grandchildren. For complete pricing information as well as everything you need to know about your photo session, contact me to schedule a consultation session with Seraphine Photography and I will send you a Client Welcome Guide today. Are you ready to book your portrait session? Please contact me to start this beautiful journey. For Miss Jordyn this was no regular High School Senior Portraits but a combination of Senior Portraits and Graduation Portraits. She's moving not too far away from home to attend College at UMass Amherst in the Fall and having completed 4 years at South Shore Charter School she sure didnt have time to have Senior Portraits done in the Fall but none the less she did it just in time for graduation. Senior year gets so busy with school projects college application process and worrying about graduation. Jordyn will be going to school to continue her studies with hopes to work with animals. she's been working with animals at a local animal hospital here in the south shore and as much as she loves animals they love her back so much that the ducks and swans at Lake Holbrook couldn't keep away from her during her Portrait Session. Her family joined her in the session to mark the end of her high school. 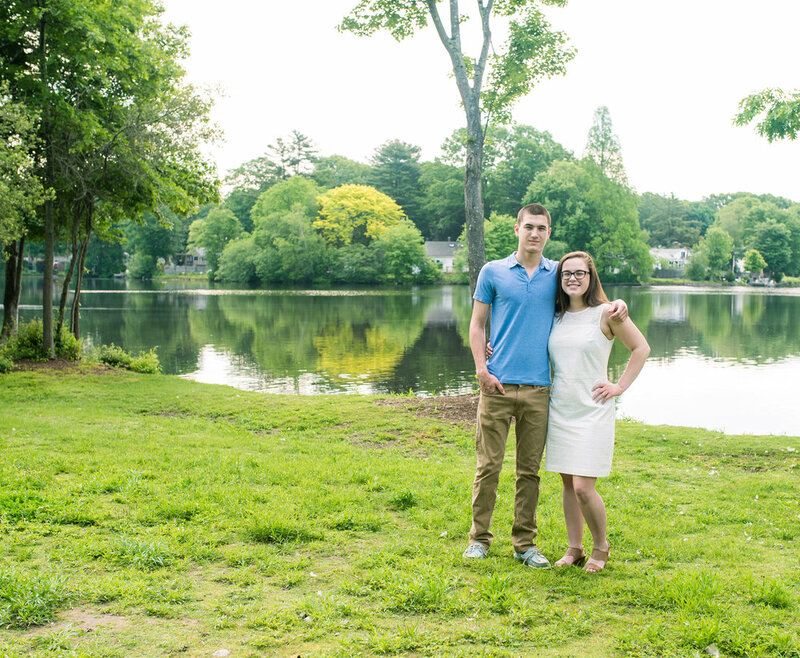 Her brother will be a Senior in the Fall 2019 at Blue Hills Regional Technical School. Jordyn Best wishes to you as you go to college am sure you will do very well with your big heart and amazing personality. 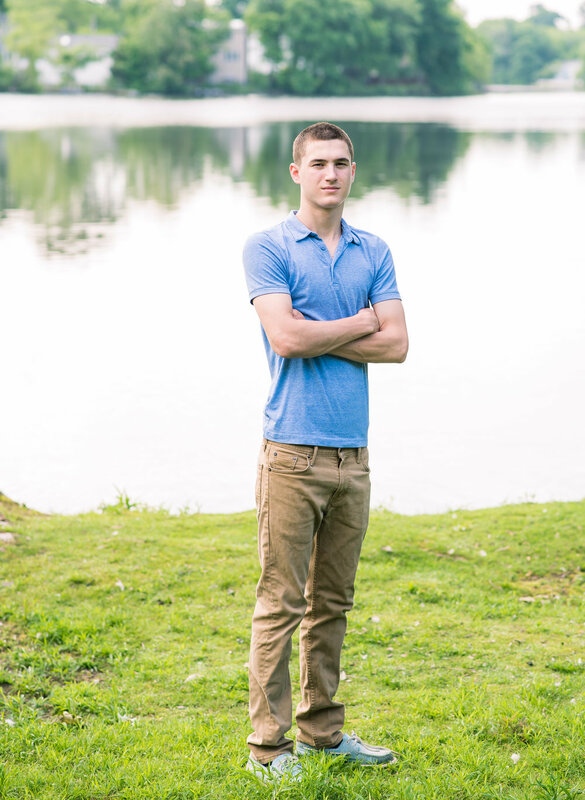 Ready for your Senior portraits? I would love to work with you. Click the contact link at the top of the page and get in touch!